Just as the rumors predicted, Alfa Romeo has. Sadly, it isn’t the we were hoping for, but a stylish SUV. 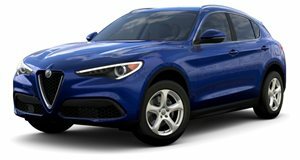 Debuting alongside the is the Tonale, a new concept previewing Alfa Romeo’s first ever compact crossover that will slot below the Stelvio SUV. It’s named after the Tonale Pass in the Alps, which isn’t far from the Stelvio Pass.